In the wake of a tragedy, it can be tempting to point fingers, establish blame, and move on. That’s what appears to be happening with the murders of UN investigators Michael Sharp and Zaida Catalan. Over the past week, the New York Times has published an article highlighting the “complicity” of the United Nations in the killings, while the UN itself has announced––misleadingly––that it is trying to find out who is guilty for the killings. In the meantime, there is no––repeat: no––comprehensive investigation into their murders, or into the massacres of hundreds of Congolese in the Kasai region. More broadly, the Times article and the subsequent editorial suggest that Sharp and Catalan were not equipped for the job. 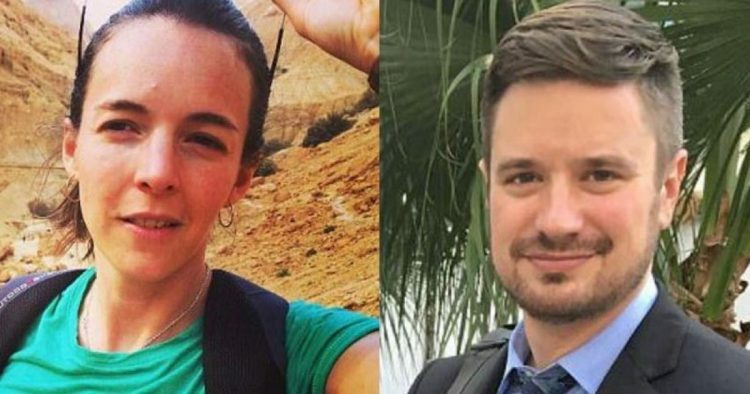 “Neither of the investigators appears to have been prepared for the dangerous world they were assigned to investigate,” the editorial board penned. In fact, Michael was one of the most professional investigators I have met in the Congo: extremely meticulous and levelheaded. What he and Zaida did that day––cross a front line on motorcycles after speaking with locals and security officials––is what every group of experts has done dozens of times since the sanctions regime was imposed in 2004. Moreover, the video that has since been released suggests that their assassination was just that: a planned murder, prepared in advance. Nothing in recent Congolese history could have prepared them for that, and it would have been extremely difficult for the UN to prevent. My broader worry is that we are losing focus of more important questions. To say the UN was complicit in their murders is to confuse complicity with negligence––a pretty critical distinction. The UN was not complicit in their murders. But who was? The Times article insinuates that Clément Kanku, a former opposition leader turned government minister, may have been involved. It bases this on a recording found on Zaida’s computer, allegedly with Kanku speaking to a militia member, encouraging him to burn villages and kill security officials. Apparently Catalan had told Kanku that she had the recording. Also, we should be wary to provide story lines that shut down other potential leads. For example, according to sources with knowledge of the killings, there are other facts that point toward government complicity. The UN has put together a board of inquiry, led by senior former UN and US officials. It seems, however, that their primary focus will be to understand whether internal UN rules and regulations were followed, not on finding the perpetrators. This despite ambiguous statements from the United Nations Security Council that the inquiry will “investigate the deaths of the two experts” and “that the United Nations will do everything possible to ensure that the perpetrators are brought to justice.” At the moment, it seems that much remains to be done to live up to that last statement.